When it comes to fishing, most experienced fishermen (and women) do not need much prodding when it comes time to book an angling trip in a foreign country. Sport fishing in Costa Rica is a holy grail for almost any fisherman and for those who have yet to find out what all of the fuss is about, we are here to provide answers. Let’s take a closer look at the following reasons why sport fishing in Costa Rica is one of the most enjoyable pursuits that a person can embark on. While there are some who find themselves nervous about taking a sport fishing trip to Costa Rica, there are no shortage of aspects to enjoy. As those who go fishing on a regular basis can tell you, it is a great way to remove all of the stress and anxiety from our lives…even if only for a few hours. There is no substitute for the peace and quiet that is provided on the water. 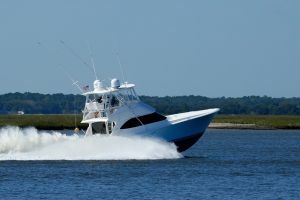 Those who actually ask their angler pals to expand on this will find out that they treasure the sense of freedom that these excursions provide. Just imagine how relaxing it can be to leave the phone and the laptop behind. Our everyday environment can be incredibly stressful and when we take time away from our usual routine, the benefits that we receive from a stress relief standpoint are absolutely phenomenal. Spending time interacting with nature is a great way to remind ourselves of what is truly important. Sure, we can head to foreign countries and hole up at a resort that will take care of everything on our behalf. But is that really the true spirit of travel? Shouldn’t we want to experience as much of the country that we are visiting? With sport fishing trips, we are giving ourselves the chance to enjoy a far more authentic vacation than we would have otherwise. After all, the best vacations aren’t spent indoors hiding away from the rest of the world. They are spent mingling with the local culture and learning more about the surroundings we find ourselves in. This keeps us from returning back to our normal workaday lives with a sense of regret and as an added bonus, we have more stories to tell our loved ones. For many fishing enthusiasts, their reasons for enjoying this pursuit are no deeper than the mere thrill of pursuit. No matter how old we are, we will always receive a certain level of enjoyment from these types of processes. There is something to be said for embracing a challenge of this nature and we are bound to enjoy ourselves whether we make a catch or not. This may sound like a cliché of sorts but everyone knows what they say about a cliché. They survive over a certain period of time because they have an inherent level of truthfulness. The amount of fish that we catch is not what is important. It is the lessons that we learn along the way.